You're tired of fighting off flying insects and swatting flies. Chemical pest control is not only expensive, but extremely dangerous for your health, too. Stop using costly chemical products and inhaling toxic fumes and volatile particles that lodge themselves in your airways and silently damage them. It's time you took the best, natural approach to pest control. Invest wisely by purchasing a powerful pest control tool that is made to last you for many years to come. This smart insect zapper requires NO maintenance other than keeping its collection tray clean. Simply install it and save your peace of mind, knowing that no harmful bug is going to come near you! 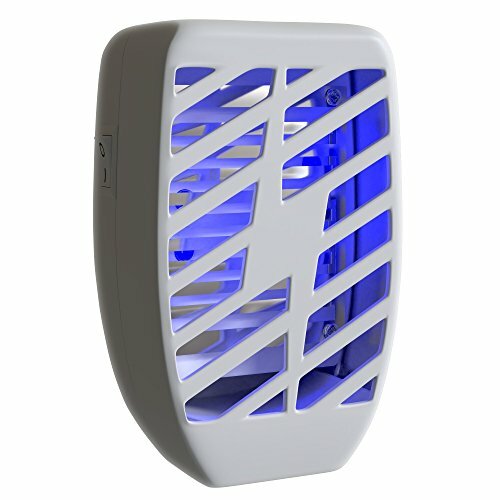 Whether hanged by a wall or placed on a flat surface, this powerful insect zapper is the best means to eliminate pesky flying critters in all indoor spaces. ✅ LIFETIME MANUFACTURER WARRANTY: Our mission is to help you and millions like you be healthy and sleep better. If you don't love it just return it and we'll refund every penny. If you have any questions about this product by Way 2 Cool, contact us by completing and submitting the form below. If you are looking for a specif part number, please include it with your message.